Salisbury Rotary Club met 5/15 at Noble Horizons in Salisbury for its weekly luncheon meeting. 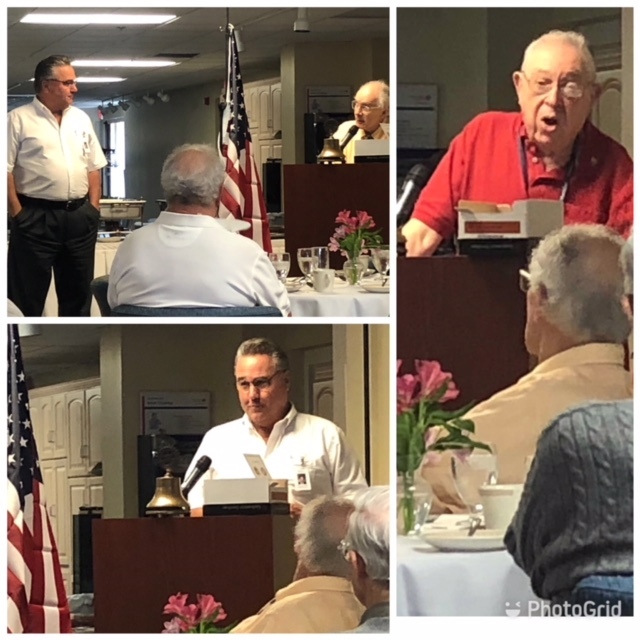 A long-time key Noble Horizons’ Food Service staffer, and SRC Past President, Peter Fitting, introduced the luncheon speaker, Noble’s newly hired Administrator, Bill Pond. Bill shared a bit of his background and his very favorable impressions of Noble Horizons, the Town of Salisbury, and CT’s NW Corner communities. Past Club President and current SRC Foundation President, Lance Beizer, reviewed proposed changes to the Club’s and the Foundation’s By-laws, to be voted on at the May 29th meeting.